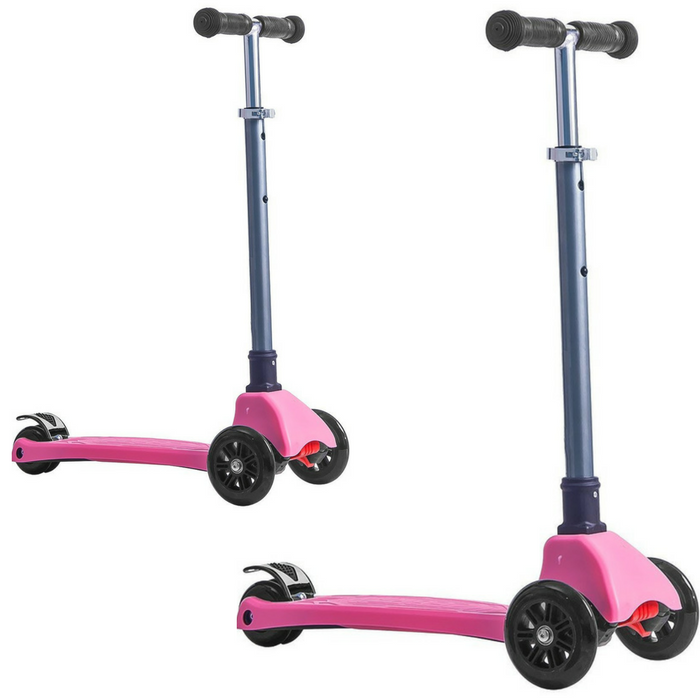 Kids Kick Scooter Just $29.99! Down From $60! PLUS FREE Shipping! You are here: Home / Great Deals / Amazon Deals / Kids Kick Scooter Just $29.99! Down From $60! PLUS FREE Shipping! Amazon is currently offering this Kids Kick Scooter for just $29.99 down from $59.99 PLUS FREE shipping! This scooter has a quick fold design easy for transportation and storage. Durable Aluminium frame and handlebar with non-slip grip are able to go for years. 3 wheels kick scooter design offer great stability and safety. The wheels are made of the highest quality Polyurethane, creating the smoothest possible glide, even on urban sidewalks. Safe Brake: Safety is most important for the children. Equipped with enhanced steel rear brake, it is easy to use and offer quick and safe stop. Wide Deck: The deck is low-to-the-ground, making it easy for little ones to easily and confidently hop on and off. With large surface enough for both feet, so kids can switch from pushing to just enjoying the ride. Age & Weight Limit: Recommended for young children ages 6-12 with adjustable handlebar. Supports riders up to 110 lbs. Handlebar adjust from approx. 28.9inch to 32.5inch.